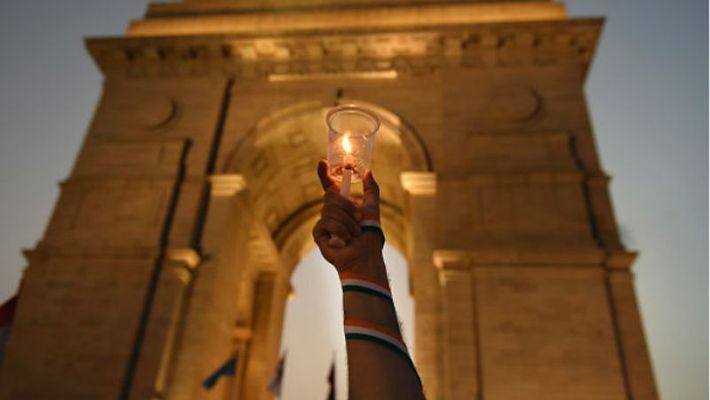 New Delhi: Using music, dance and arts, members of India's classical artistes fraternity will pay their respects and homage to the 40 CRPF troopers who were killed in the February 14 suicide attack in Jammu and Kashmir's Pulwama district. Kathak doyen and former civil servant Shovana Narayan is spearheading a gathering of over 30 artistes who will present brief tributes to the victims. "As artistes, we must express our solidarity with the martyrs of Pulwama attack. We have collected 30-35 artistes together. As a small humble gesture, some will sing, some will dance or recite poetry or just address the gathering," Narayan told IANS. It will be held at the India International Centre (IIC) on Sunday evening. The tributes will be in the form of a brief three to four-minute presentations. A canvas with signatures of the participating artistes will be handed over to the Central Reserve Police Force (CRPF). The participating artistes are: Alka Raghuvanshi, Arpita and Paramjit Singh, Aruna Vasudev, Bharati Shivaji, Dattatraya Apte, Geeta Chandran, Geetanjali Lal, Gopi Gajwani, Kiran Segal, Lavlin Thadani, Madhavi Mudgal, Madhup Mudgal and Nalini-Kamalini Asthana. The list also includes: Naresh Kapuria, Neeraj Gupta, Niren Sengupta, Prathibha Prahlad, Prerana Srimali, Raja-Radha Reddy, Ranjana Gauhar, Rashmi Vaidyalingam, Rita Ganguli, Sadhna Shrivastav, Saroja Vaidyanathan, Satish Gujral, Shanno Khurana, Sharon Lowen, Sonal Mansingh, Sunit Tandon, Sushma Seth, Uma Sharma, Vidya Shah and Wasifuddin Dagar. Members of the art fraternity, art lovers and the public may pay their homage through their presence at the function, the 1992 Padma Shri recipient said. Key members from the CRPF are also expected to attend the gathering, she added.